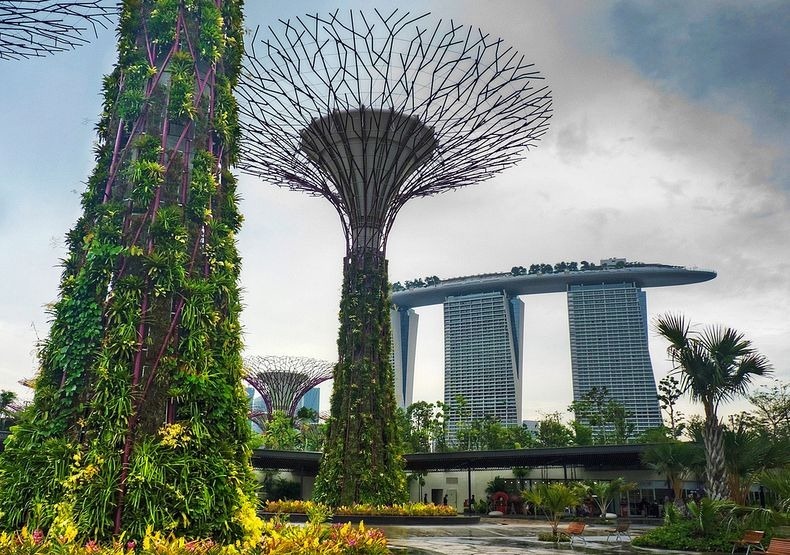 There is an elevated walkway between two of the larger Supertrees for visitors to enjoy a breathtaking aerial view of the Gardens. 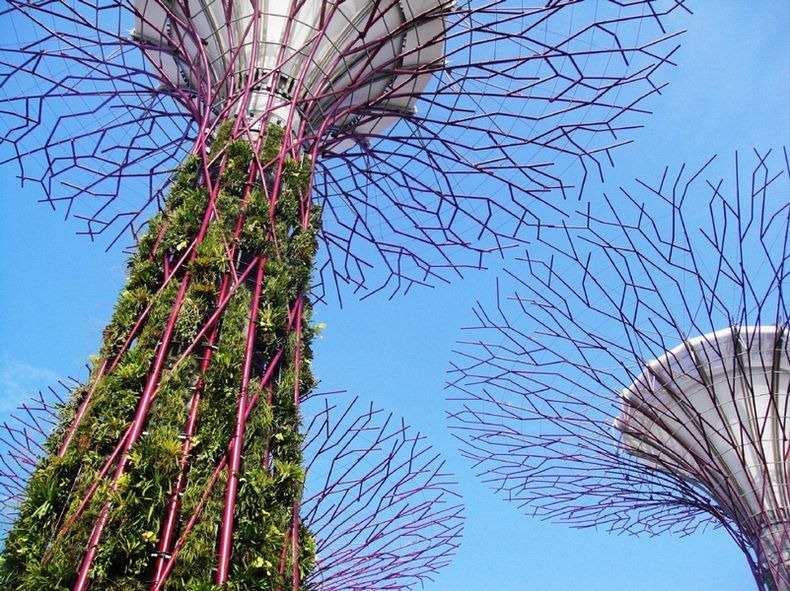 A food and beverage outlet is planned atop the 50-meter Supertree. 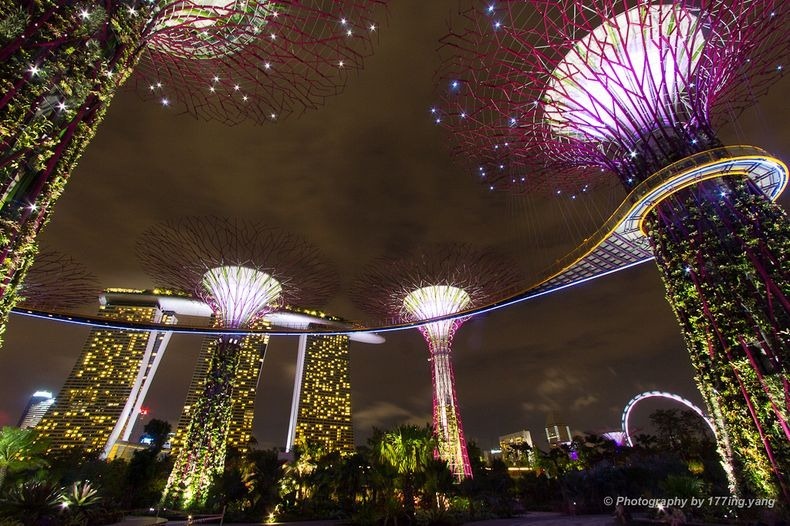 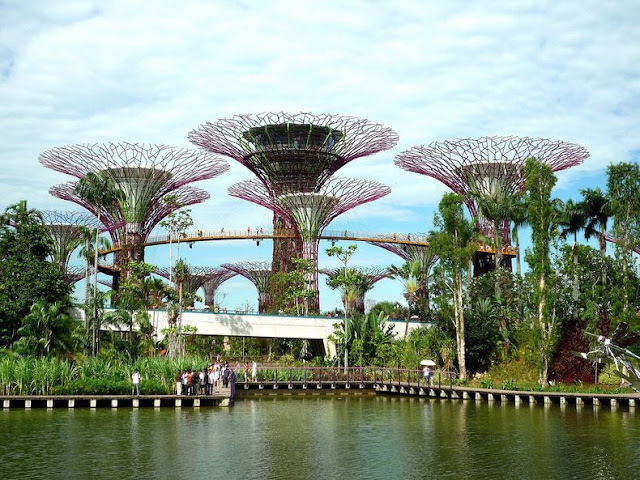 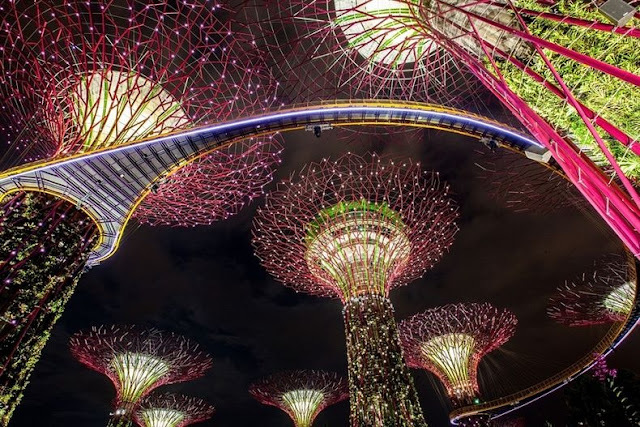 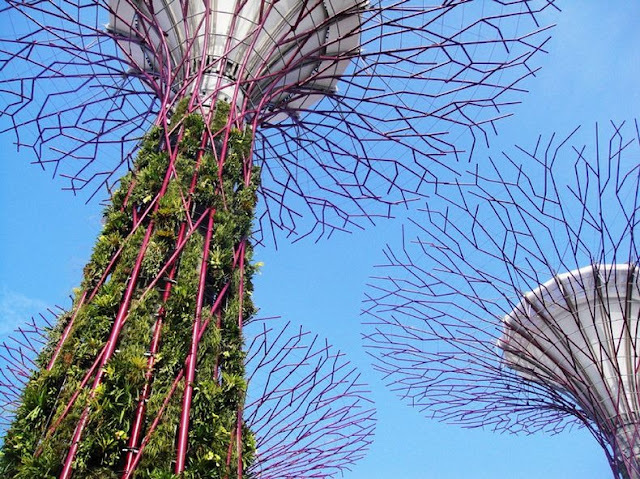 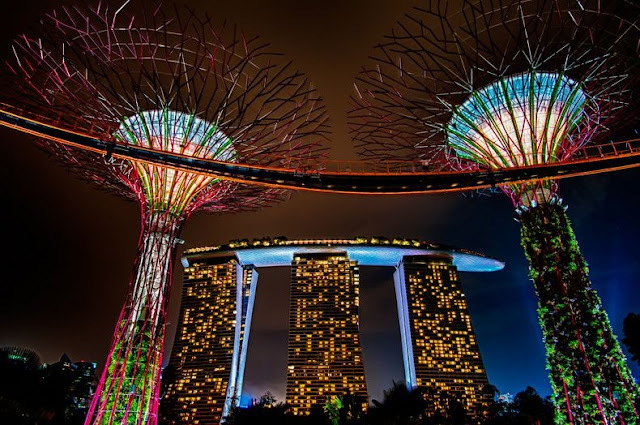 At night, the Supertrees come alive with a light and music show called the OCBC Garden Rhapsody. 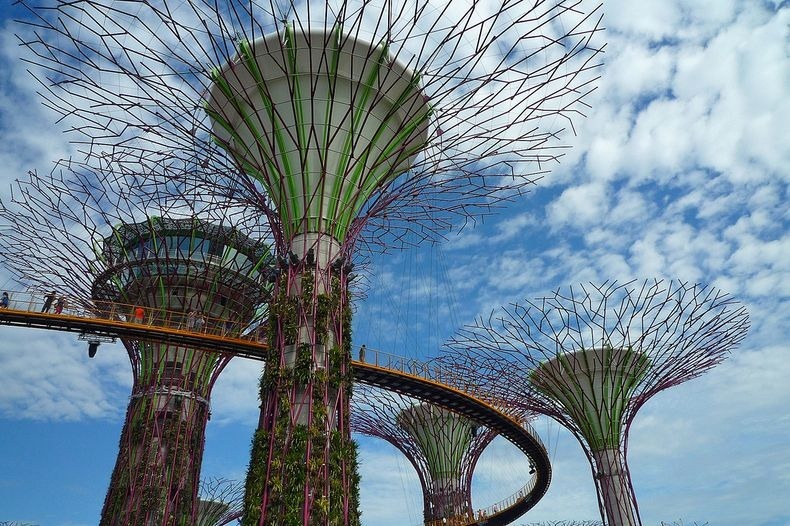 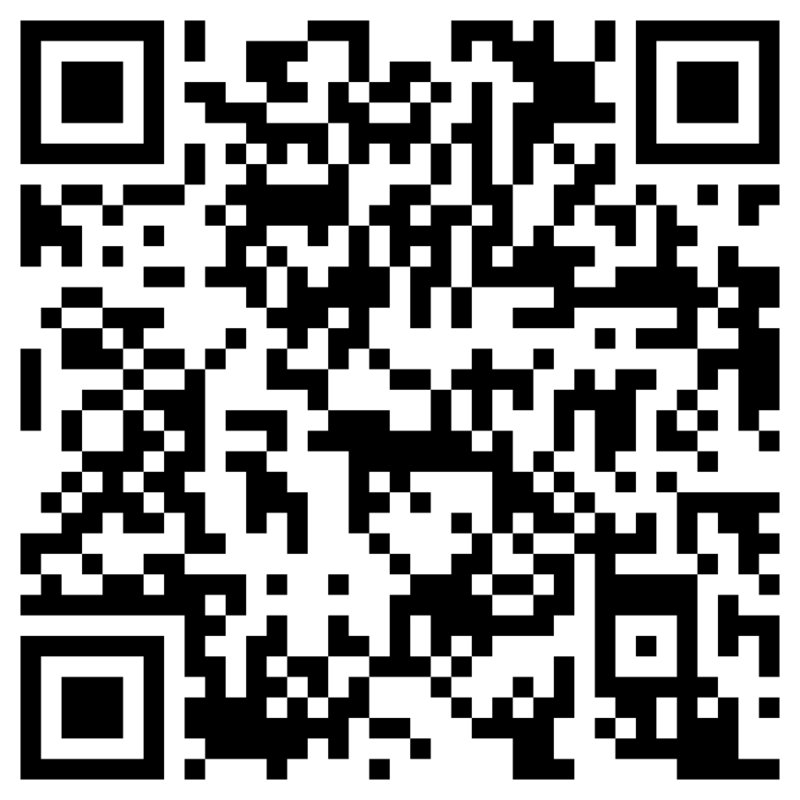 The entire project is estimated to have cost more than $1 billion.